Posted March 10, 2018 by Andrew Blair & filed under Features, Headlines, Opinion. In the very early years of Doctor Who, script editors tended to start their tenure full of ideas for their version of the show, only to find themselves slowly run down by the sheer amount of work involved, just putting out what’s proven to work. They didn’t stick around for longer than two years, usually wanting to move onto other things. Doctor Who either wore them down or they regarded it as a stepping stone. Either way, nobody hung around. Terrance Dicks though, he started working during one of the show’s most chaotic periods, when it was declining in popularity, and despite wanting to leave, ultimately worked on the show continually for seven years. It helped that, due to the suggestion of Barry Letts when directing The Enemy of the World, the production schedule was significantly reduced in 1969, with the show now on air for six months of the year instead of nine. Letts instigated more efficient changes once he became producer, so fewer scripts were required in a calmer working atmosphere. Season 7 of Doctor Who was the product of Derrick Sherwin and Peter Bryant’s ideas, based on the Patrick Troughton stories The Web of Fear and The Invasion. Bringing the show into a recognisable present day would not only make it less detached from reality, but also make it cheaper to film. UNIT were created specifically for this remit, with the Quatermass serials a major influence. This was a significant departure for the show. While styles of story had been phased out by previous production teams, never before had the show removed the feature that allowed it to have such variety. This came at a time when Doctor Who’s future was in doubt, with the possibility that Season 7 would be its last. Dicks brought his contacts to bear in writing this series, with David Whitaker’s final script for the show largely written by Dicks’ War Games co-writer Malcolm Hulke, who summarised the problem with the new format neatly: the only two story options were alien invasion or mad scientist. The Silurians was Hulke’s attempt at subverting the former. Robert Holmes also returned from Season 6, with Dicks’ old Crossroads Script Editor Don Houghton contributing Inferno. It was Dicks and Letts who suggested the parallel universe plot that gives Inferno extra momentum when it would otherwise have flagged. The ratings started well but tailed off, but the BBC still renewed the show, allowing Letts and Dicks to bring it more in line with their visions. They wanted the Doctor to travel again, and tried to further fudge the conflicts that had arisen in Season 7 between the Doctor and UNIT. The Doctor working with the military jars, but not as much as the Doctor accusing said military of genocide and then continuing to work with them. Thus, at the end of Inferno there’s something of a thawing. Due to the Doctor’s hubris, the Brigadier is no longer able to take him as seriously as the Third Doctor initially wanted to be. 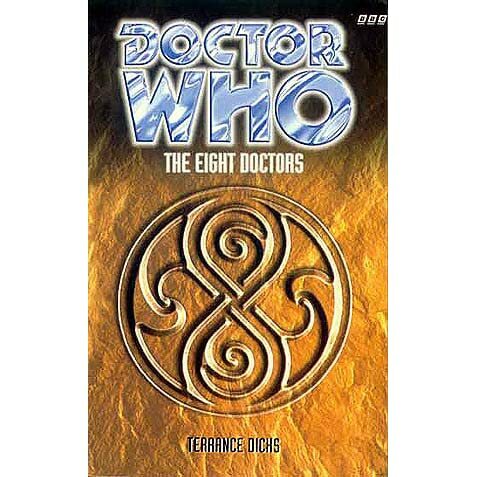 Season 8 would – with the exception of Houghton’s The Mind of Evil – be tonally different to 7. UNIT would be less antagonistic, more familial, although the Third Doctor’s character became more patronising and rude. Based on Terror of the Autons, I expect that the UNIT tea lady continually quit, or was the Master in disguise most of the time anyway. 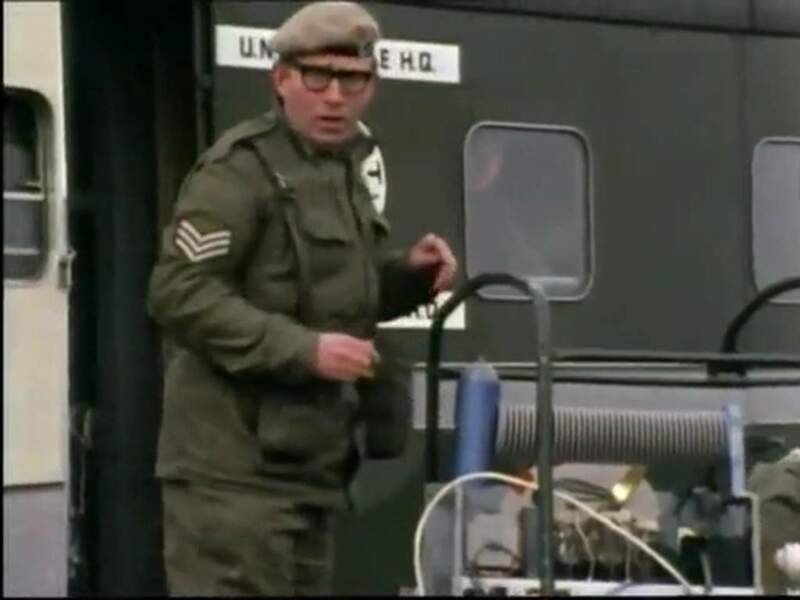 Presumably Sergeant Osgood told Petronella a rose tinted version of his time at UNIT. Time and space travel was gradually introduced back into the show, but still not dominant – making the Earthbound stories something of an anomaly in Doctor Who history – while the production team thought about how to bring more viewers in. Their initial season opener hook was the introduction of a new character. Previously, production teams’ attempts to create popular villains had seen limited success, so the fact that the Master was popular was unusual. It helped that they had cast Roger Delgado in the role, and once he got to grips with it rivalled Pertwee for onscreen charisma. Dicks was also showing a lot of ability as a ‘nuts and bolts’ script editor, keeping scripts ticking over with new ideas and looking to subvert what had gone before. Simple but effective twists, such as the Ice Warriors being friendly in The Curse of Peladon, rewarded the audience and expanded the series’ storytelling potential. At the same time the abundance of regular characters established by the Earthbound location meant that there was a sense of returning to a family when the Doctor came back to Earth. Due to the UNIT characters not being in every story, and the easier production schedule, the cast stayed in place for longer and so were allowed to develop. While Dicks underplays his input to this side of things, Barry Letts’ creative input was vital to this era. As a producer, director and writer he had more input across the show than any other individual had before. The spiritual and moral elements of the series at this time are attributed to Letts, and certainly it was he who led on devising stories that explored the Doctor’s past (as in The Time Monster) and flaws (Planet of the Spiders is an attempt to address the Doctor’s egotism). He and Dicks also had the time to work more closely on designing stories with budget in mind. This meant that Robert Holmes’ Carnival of Monsters was designed with budgetary constraints in mind – two main locations with distinct sets of characters, saving money on sets and actors. This would balance the books for the bigger stories of the tenth anniversary season. Letts and Dicks had looked to move on from Doctor Who around this time, developing the short-lived Moonbase 3 in 1972 for broadcast the following year. Though this failed, Dicks still decided to move on the following year, completing his script editing work in 1974 and handing over to Robert Holmes that year. The recurring feature of Dicks’ time as Script Editor is forward planning, and a lack of obvious panic. Scripts fell through, others were lined up to replace them and were rewritten when necessary. You know. The job of script editing happened. Problems arose and were solved. Many of the problems that are apparent to a DVD viewer now would not be as apparent to someone watching one episode per week on telly. Terrance Dicks did his job, and the show became more popular when he was Script Editor. Fan opinion on the era has oscillated wildly. Paul Cornell has moved from excoriating reviews of Terror of the Autons to writing Third Doctor comics praised for their accurate recreation of a beloved era. There are aspects of Dicks’ time on the show that are frequently questioned – the Doctor working for the military, the Doctor’s mingling with the establishment of the time, his personality in general, the gender politics and description of the companion role – but Dicks knows how to tell a story. Even in his most pilloried Doctor Who novels Dicks at least makes them an easy read, so you can at least speed through the worst bits. This is in no way a surprise. This is Terrance Dicks, the man who unofficially ran the Target Novelisation range. He’s probably responsible for raising the literacy rates amongst at least thousands of children. Plus, we all know his anecdotes so well now that you can play Terrance Dicks Bingo on DVD commentaries. Why not take a drink every time he slags off the Cybermen on The Five Doctors…?